Layla is a half-blood fae, a fairy whose father was human, before the dragon attacked before her world changed forever before the barrier was set up, forever separating the fae world and the human world. The barrier has stood firm for years until now. When fairies start to vanish, and Layla witnesses her sister kidnapped, Layla must venture into the human world, team up with some very interesting detectives, and find the dark harvester, stop him and save her sister but with only her sword and no magic, can she do it? 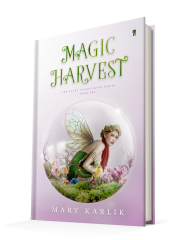 Published September 18th, 2018 by Ink Monster, LLC Magic Harvest by Mary Karlik is the first in her YA fantasy Fairy Trafficking series. Magic Harvest follows Layla, a half-fairy who escapes the fairyland to chase after a cloaked figure who has kidnapped her sister. It’ fun because Layla is half human and half-fairy, ostracized from the fairy realm because of her lack of magic. Bullied and teased, Layla endures it, right at the beginning, she struggles to find the strength inside her to challenge the bullies, to challenge the word Layla has always known, knowing that her treatment is not right. It is a wonderful example of trying to e find inner strength that is incredibly relatable because it is not easy, standing up for oneself, while necessary, is a heart-racing endeavor because so much can happen and so much can go wrong, but those fears should not deter one’s self. It makes the gravity of the situation so well done. There is also this idea of “difference.” Layla’s differences have always been used to make her feel weaker and broken when in fact these differences, her inability to use magic and human physic, are what make her stronger. That is so powerful because being different shouldn’t be looked down at because those differences are what make people stronger where they need to be. For Layla, that is so true. Her lack of magic forced her to learn different ways to defend herself, helping her rely on her physical strength, something the fairies never thought to appreciate, relying heavily on their magic use. This makes her a great heroine because she grows through this. Layla learns to love herself, to appreciate everything that makes her different because it is those differences that make her capable of fighting and saving the people she loves. She only has to learn to learn to love herself first on the adventure. Admittedly it drags. The story, at 286 pages feels much longer than that because the story gives the reader lots of exposition to absorb. 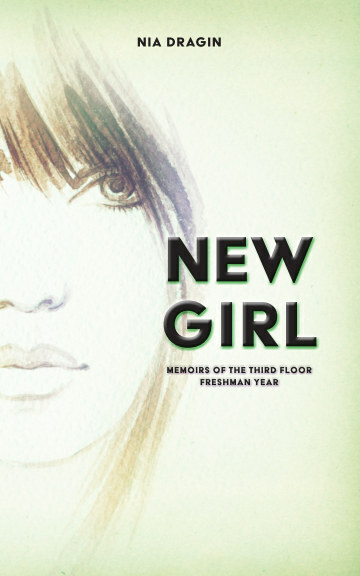 The narrative and character growth make up for most of that, but the other characters in the novel, they are not as exciting as Layla is, so all that exposition leaves the reader a little bored. It is interesting to see how Layla learns to behave in the human world, but most of it can be summarized or condensed because at times the pace speeds up and then slow down to a crawl, leaving the reader a tad exhausted. Much of it felt unnecessary, and it distracted the reader from Layla and her growth.